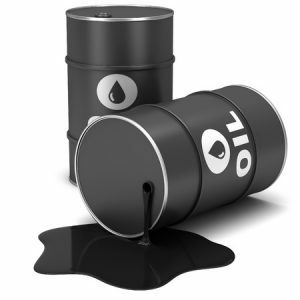 The government of Ghana, has placed a short-term ban on the award of fresh petroleum contracts until requisite regulations that will allow for an open and competitive bidding processes are enacted. It is expected that the regulations will be passed by the middle of next year to usher in an era of competitive bidding for oil contracts. Until that is done, the government will make use of the direct negotiation option, which is also permitted under the Petroleum Exploration and Production Act, 2016 (Act 919) but followed a prescribed caveat to protect the interests of the country. That’s according to a Deputy Energy Minister, Dr. Mohammed Amin Adam. Dr. Mohammed Amin Adam said this at the opening of the Africa Oil Governance Summit in Accra. According to him, no fresh contracts are being negotiated by the government as it devoted time to develop the regulations to back the process by the middle of next year. “We are working hard to develop the draft regulations that border on open and competitive bidding, put it before Parliament and then we will start the first bidding around next year,” he stated. He said much as the government wanted to use open and competitive bidding, the law categorically stated that the process has to be “prescribed, and this means that you have to have the regulation in place. We haven’t actually started fresh negotiations for oil contracts; we are waiting for the regulations to be developed”. The deputy minister, however, explained that open and competitive bidding remained a priority of the government for the award of oil contracts, although its implementation was being hindered by the absence of a regulation. Reacting to concerns over a direct negotiation with the American oil giant, ExxonMobil Exploration and Production Ghana Limited, Dr. Adam said the negotiation started by the previous government, had provisions that were legally binding, hence the decision by the government to continue with it. He said a memorandum of understanding (MoU) was signed between the previous government and the oil exploration company and the current government did not want to take a retroactive approach, hence its decision to continue the process. “What we are doing is not fresh; there have been previous negotiations and an MoU was signed before this new government came into power. This is legally binding and we want to respect the sanctity of agreements,” he said. The summit, organised by energy think-tank, the Africa Centre for Energy Policy (ACEP), the 2017 forum is themed: “Maximising the benefits of petroleum resources in Africa: The role of open contracting for efficient negotiations, revenue capture and effective revenue utilisation”. It is to provide a platform for stakeholders to deliberate on the importance of governance around Africa’s growing oil and gas sector. It is also to bring together stakeholders across the continent to track the progress of oil development in developing the African continent and build consensus on how to ensure that oil resources spurred growth through value creation and prudent investment of revenues. The Executive Director of ACEP, Benjamin Boakye, said there is the need to boost transparency in contracting and ensure that there was greater commitment to the cause of open contracting. He said Africa needed to champion its own transparency cause to ensure that loopholes in the process, which created room for revenue losses, were blocked. The Chairperson for the summit, Mrs. Harriett Amissah-Arthur, bemoaned the slow pace at which the continent was adopting effective open contracting.